Gena at choosingraw.com has developed an brilliant spread/dip. We really enjoy the flavor of parsnips and are often disappointed when mixed in a soup, the parsnip flavor is lost. 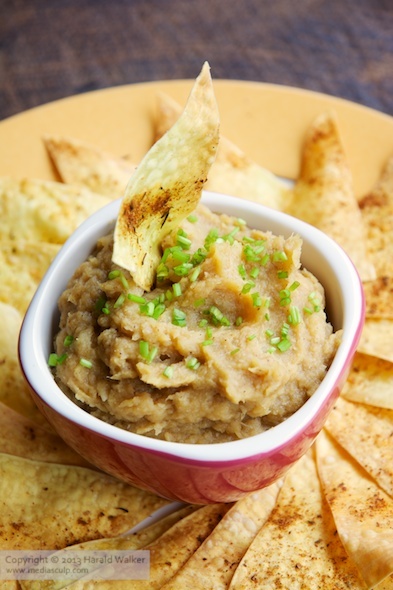 This recipe for a cheesy parsnip spread offers that salty, cheesy flavor that vegans are used to and yet the lovely sweetness of the parsnips still comes through. This spread is fantastic and is not so high in calories or fats. We have enjoyed this recipe with homemade buckwheat chips and recently with baked won ton chips. The spread would also be lovely as a dip for vegetables. While parsnips are still available, do try this great spread out. Posted by Chris Walker on March 11, 2014 in Parsnip, Reviews.